Forum Home > ELL-SF News > First Ever: "ELL-SF Members PURGE" of JULY is Here! 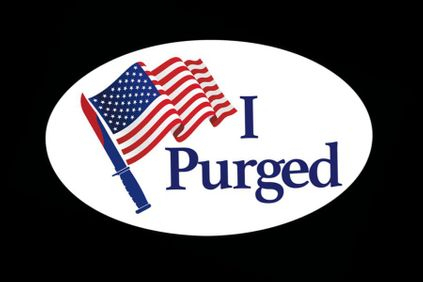 First Ever: ELL-SF "Members PURGE" of JULY is Here! We are deleting (Not Kicking/We Cant Kick) all lazy and non-cooperative members of ELL-SF, and reinforcing our standards. Members of ELL-SF that would like to become or remain included in official ELL-SF activities and events, are now instructed to remove all friends from their KMB ELL-SF Account and add only the other official members. - Only up to 5 non-KMB friends can be kept, but only if you plan on recruiting them to KMB ELL-SF within 24-hours. - If you do not succeed in recruiting your friends, you must add them to your main account. ELL-SF is for gamers who are willing to Learn, Train, Teach, Guide, and Lead others with cooperation to maintain ELL-SF as a productive, stable, and experienced Gaming Clan in the League. 2. Show members how to Train, Referee, and Attend Events. 3. Show members how to Recruit and Guide new recruits/potential recruits. 4. Show members how to move as "one crew" across various games. A) Keep all your various friends on your KMB account and keep gaming as you have, but lose a few KMB friends. B) Delete your entire friends list. Add MISTA KMB Members. Tell all old friends to add your main account to play with them. Simply do nothing, some KMB will delete you and NOT add you back or they too will be deleted from official member group. 1. Delete EVERYBODY from your KMB account, but keep the 5 friends you like the most, and add KMB_ELL-SF_MISTA. - I will help you recruit those 5 people. 3. Add the members listed on my Crew Member Welcome post. - Tip: Use your PS4, view my Profile, add all my KMB friends (they are your members). 4. Contact MISTA (ME) when you are ready to "participate" in our Clan. Your KMB account will be full of KMB that you actually talk to and play with regularly. Non-KMB will only be added to your list if you intend on recruiting them, or if they want to join.